nuvi 1340's pocket design means you can take it anywhere. Use to its full potential by downloading cityXplorer to navigate selected cities via trains, tubes or buses as well as on foot. Add an AA City Guide for your chosen city to find out about all attractions. nuvi 1340 has a simple, intuitive menu. Just touch the screen to look up addresses and get turn-by-turn directions. nuvi announces street names before you make a turning - e.g. "Turn right into Dell Road" so you can keep your eyes on the road at all times. 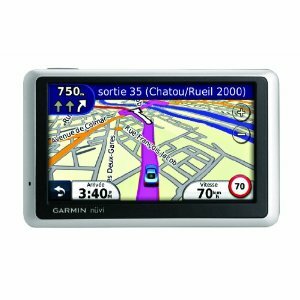 Garmin has a unique, pan-European speed camera warning system, giving real-time, reliable, and accurate alerts. nuvi 1340 has the location of fixed, average speed, mobile and temporary cameras already built in. 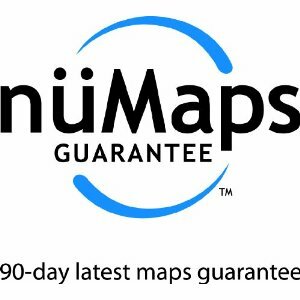 Preloaded street-level mapping for UK, Ireland and Western Europe with 60-Day nüMaps Guarantee. ecoRoute - For fuel-efficient navigation to your destination saving fuel and money. Text to speech calls out the names of upcoming roads on the route. Pedestrian mode with CityXplorer optional download - enhanced navigation whilst on foot or using public transportation. 4.3-inch wide touchscreen display, sleek, ultra-slim design that fits easily in your pocket.